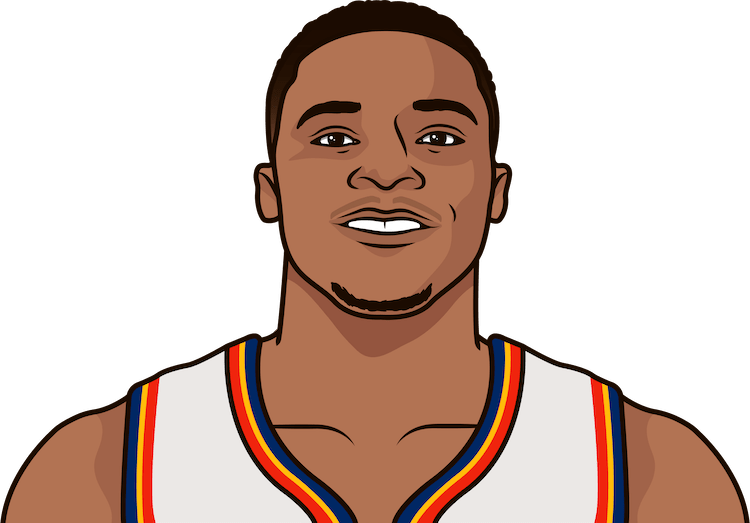 Russell Westbrook with 37/13/14 on 68.2% shooting today. No other player in the last 30 seasons have had that stat line. How did westbrook do in his last game ?